Enter your email address here to receive our Resident Wellness Newsletter sent to your inbox each quarter. Who can use Resident Wellness counselling services? The Resident Wellness Office offers counselling services to all UBC medical residents, subspecialty residents, and their spouses/common-law partners. What services are available for residents at distributed sites? 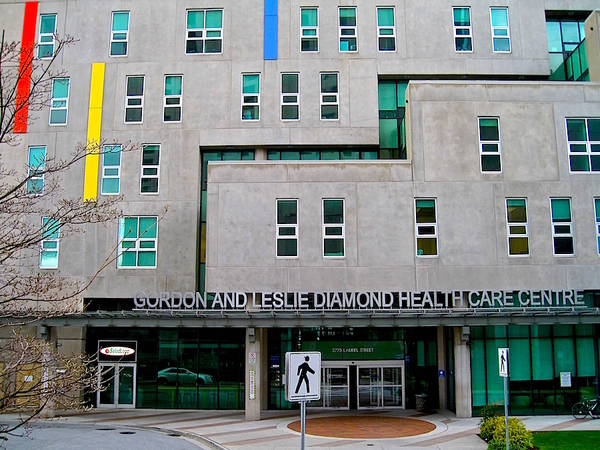 The Resident Wellness Counsellors provide confidential counselling services over the phone or via Skype™. Visit our online booking site to book an appointment instantly. The Resident Wellness Counsellors will also visit the Island, the Interior, and the North several times per year. The date of these visits will be announced to you, at which time you are welcome to schedule a confidential one-on-one session with the counsellor. Many clients find it helpful to meet individually with the counsellor in order to 'put a face to the name' and perhaps provide an added level of comfort to telephone counselling if you choose to access that resource in future. When are the Resident Wellness Counsellors available? Appointments are available Monday-Friday with general hours from 8:00-4:00pm, and evening appointments are also available on certain days of the week. Please visit our online scheduler to view counsellor availabilities and book an appointment: ubcresidentwellness.janeapp.com. Where are the Resident Wellness counselling offices? As of Sept. 1, 2016, we have two physical locations. 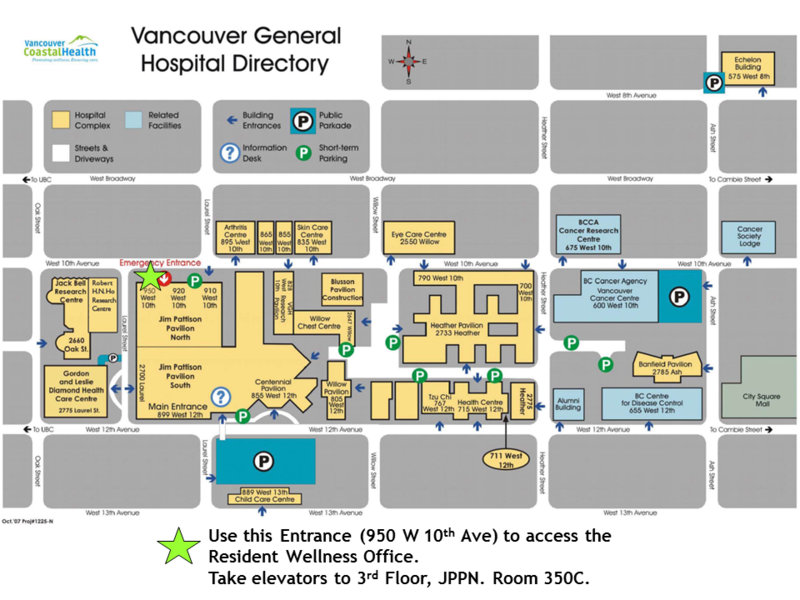 The Vancouver office is located on the 10th floor of the Diamond Health Care Centre (DHCC), 2775 Laurel St. The counsellors work out of two offices on the 10th floor, in rooms 10203 (Elizabeth Sabine) and 10228 (Kion Davies). 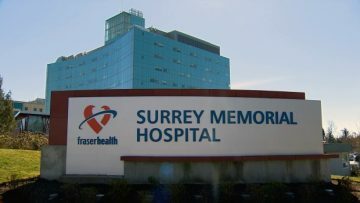 The Surrey office is located on the 3rd floor of Surrey Memorial Hospital Critical Care Tower, Room 3-622 (near the call room). 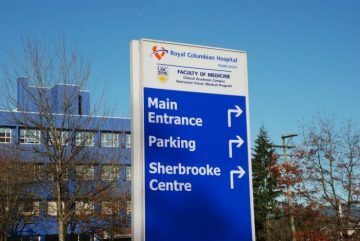 On the last Wednesday of every month, the Resident Wellness Counsellor will be at Royal Columbian Hospital in the Sherbrooke Centre, Conference Room M-24. Do I need to pay to see a Resident Wellness Counsellor? No! All services provided by the Resident Wellness Office, including individual counselling, are available to you free of charge. Is there a cap on the number of counselling sessions I can receive? No, there is no time limit on the number of counselling sessions available to you, free of charge. Is the Resident Wellness counselling service confidential? What services does the Resident Wellness program offer? The Resident Wellness Counsellors are able to assist you with a range of personal and professional concerns. The program has been created to promote and support health and wellness among medical residents. The counsellors can help you work through and effectively cope with concerns such as stress and time management, anxiety, depression, career concerns, life transitions, and relationships. Speaking with a counsellor can help to bring clarity to situations and shed light on new ways of dealing with them. Do you have questions that weren’t addressed here? Don’t hesitate to contact us at 1 855 675 3873.